I am joining this challenge again for 2019. In 2018 I made 11 out of the 12 books, for 2019 I hope to read the full 12. A book recommended to you by someone with great taste. The Woman at 72 Derry Lane by Carmel Harrington, recommended to me by Trish at Between My Lines. Book One by same author. Book Two by same author. Book Three by same author. A book (genre) outside your comfort zone. Meet Me at the Museum Anne Youngson – epistolary fiction. So time to take on an audiobook challenge for 2019. Read all the details over at Caffeinated Reviewer or Hot Listens. Read all about the challenge on either of the links above. I am going for the Binge Listener level again. In 2018 I was aiming for 28 and I am just finishing that now. My aim is for 30 books for 2019. I am going to do the library challenge again which is hosted at Angela’s Guilty Pleasures. Follow the link to get all the information. In 2018 I used the library really well thanks to this challenge and went beyond my goal of 24. I learned how to reserve books while the books were still on order at the library and so I read a number of them that were published in 2018 and saved myself from buying them! My only difficulty was sometimes having so many become available at one time. My goal for 2019 is going to be Overdrive Junkie with 36 as the total I am aiming for. Becoming Mrs Lewis Patti Callahan Historical Fiction. 5 stars. Suitcase of Dreams Tania Blanchard Historical Fiction 4 stars. Join me for 2019 in Connect Five – Books. Let’s look at connections for books… what books link for some reason or another. When you have five that connect in whatever way you are able to group them then link up. How might you do this? Have a Goodreads shelf and link that up – this may be a little different but maybe use it in combination with a comment. Or… if you belong to none of these places, share five books in a comment. To look for connections between books you read. There will be many connections that just float over our awareness. Let’s see can we raise that a bit, whether its fairly surface level or something deeper. Here are some examples that might get you thinking! It’s not hard work, you don’t need to plan it out, just see what happens. Five books that weren’t for you. Five books that really connect to your own life in some way. And you can come up with ones you think of… there will be so many. The five books connection cannot be too simple, for example five paperbacks or five ebooks or five women authors – unless of course you hardly ever read women authors. I could challenge myself and have a group though of five male authors because I hardly ever read male authors! Five USA authors would be rather simple, but it could be five USA authors from the same state. A book can only be used once. The books must be read in 2019. Books can be carried over until you have five of something. It may take a few months to gather five of something. You may have many connections of five to link up . So if you have two groups of five then you can link up twice and so on within a month. You may just link one group of five during the year sometime or many each month. Each month I will post a link up on the last Wednesday of the month. The link up will be open until the Tuesday before the last Wednesday of the next month. The first link will go up in January 30th 2019. Link up at any time during that following month. And then we will roll on with each month. For those who have a five book connection and link up there will be a random prize draw for one reader who will win a book of their choice for that month from the Book Depository. The last link up will be posted in November and go through December. 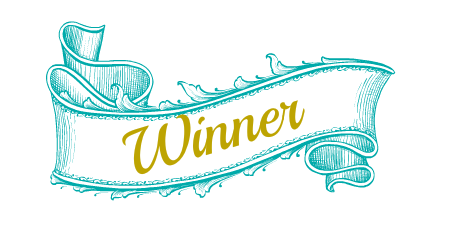 At the end of the year there will be one draw as well for all those who have participated during the year, – a book of choice from the Book Depository. Browsing through my reading from this year I can see a number of connects. Books that have quite a bit to do with books and libraries. Four are obvious, but Harry’s Trees includes a library that if it doesn’t get any funding it will close down – it has one very elderly but loyal volunteer librarian. Books that are about Christmas or the Spirit of Christmas. And it could have been possible if I was reading with more awareness that I could have collected books about family that deal with just sisters and brothers, or adoption, or marriage. I could see a connection where children played a significant role in the plot but I’d already used Harry’s Trees in another connect so no go! Bought the book, you really want to read it…. and then it gets surpassed by review books or library books or other TBR books. So this is a Reading Challenge to Read the books you buy. You don’t buy books? Well then this challenge isn’t for you. Now at the start of 2017 you won’t be sure of what you are going to buy or how many books you will buy. So – choose from one of the percentages below and go for it. Make a commitment post and link up below. List the books you buy in the post as you spend throughout the year and then mark off as you read them. If you don’t have a blog you can do this on Goodreads with something like a ‘bought 2017’ shelf and you’ll easily be able to see at the end of the year how you’ve gone. Leave a comment on the post with a link to the shelf to signal your participation, if using Goodreads. Or.. you can place the link on the link up. 20% or less Money Sitting on the Shelf. 21 – 40% Making Inroads. Books have been bought in 2017 by you or you can decide to include from and including July 2016 buys. Anything previous to that definitely falls into the dusty TBR realm! There is a challenge somewhere in the book world for that! 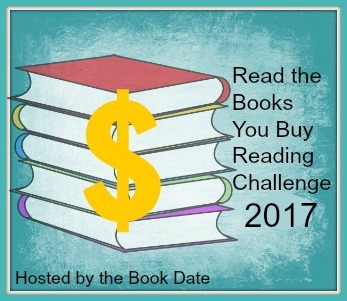 You can decide whether you include books bought in 2017 second hand or in book fairs etc. Books for this challenge can also be included in other challenges. I encourage you not to think this through too much, go on buying as you normally do – in a large or small way. Authors write books, they deserve to be read and enjoyed and paid as well! So I know we love our review books, library books, 2nd hand books etc. But … if you can – buy books as well. There will be one mid year link up to share how you are going, in the beginning of July. In December there will be the final link up to share where you reached. You may not reach your goal, but just link up to account for yourself! The link ups just mean re linking your commitment post but updated. In the July link there will be a $10 Amazon voucher giveaway prize for one reader among those who link up and at the end in December a $25 Amazon voucher or books to that amount from the Book Depository if it delivers to your country. Even if you don’t get to where you hoped you can still link up, so long as you bought a book during 2017 and joined the challenge! Thanks to everyone who participated. Well done to those who completed the challenges and then linked up! Although reviews are not a condition of completing the challenge, they are an extra. There will be a $10 US Amazon voucher or book to that amount from Book Depository for one randomly chosen review linked in Jan-June and another for the July-Dec link which will be up later in the year. This is hosted by Anna at The Herd Presents and I enjoyed it last year so I am in again. I like it because if covers a few news -A new author, a new genre, a new series, a debut book, etc. Falling Home Karen White new to me author. Who’s Afraid Maria Lewis new to me author. 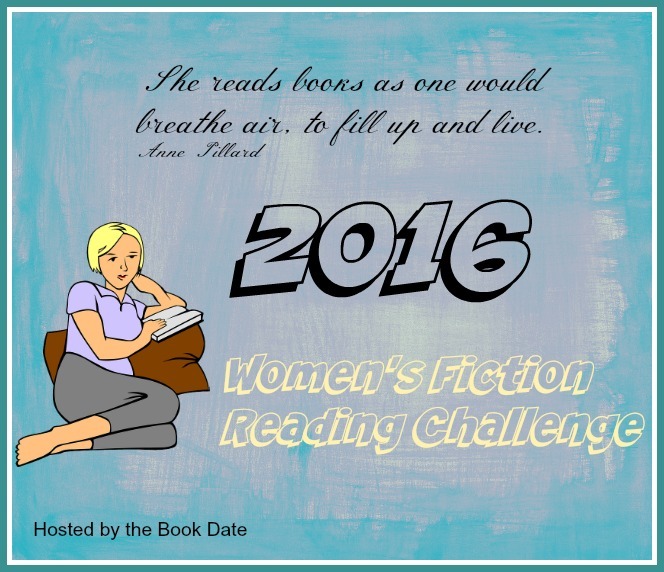 Year of Yes Shonda Rhimes – first time reading her. The Ramblers Aidan Donnelley Rowley new to me author. Secrets of a Charmed Life Susan Meissner new to me author. Flight of Dreams Ariel Lawhon new to me author. Jane Steele Lindsay Faye new to me author. As the year comes to a close it is time for me to look back at the reading challenges that I participated in. 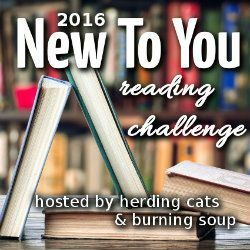 I know many of you aren’t into reading challenges and that’s okay. At the moment I enjoy them, so I participate. However I am a little picky and I like some more than others. On the whole I succeeded at most of them and had some big failures as well. But that’s okay – I just found out what’s me and what’s not! Challenges I set my sights on. Completed. This is the most challenging challenge. It’s a real challenge!! Completed and lots of fun. Wow I signed up for 4 a month. Stupid me!! But anyway I am almost completed – just one more to go and I will be completed by end of December. It has been my real TBR shelf clear out. Well not a clear out, but it has rid me of a few. Definitely going to do this again, but at a lower level! Completed. Fun finding books to fit, not that hard in the end. Like this one, very sensible reading challenge. Best of series challenges that I have come across. Surpassed the 140 I set. But still not going to go too much higher next year. I might find better things to do than read! Just went for two and completed it. So of course because I fell out of some I didn’t complete this challenge. But far enough to make me happy. So counting it on the plus side! Made the mistake of not listing a couple of stand ins if I had a DNF, so in the end I was happy to let it slide. Stink. No really, this was a bit of a failure. Most likely the goals were not me. Gave up early on the cooking goal. Although I pretty much almost completed the book related goals though, just stopped tracking. Who wants to track how many comments they make in a week! No, didn’t think so. Thought of posts to use for this but just didn’t do it. Prefer to read! I am already planning what I will do next year, not as many as this year. Just the ones I really enjoy. That little in post thingy at the top of the post – yeah me, I was able to code that in! Small steps. Just a beginner, but it could end up fun. See the main rules for this on Fantasy is More Fun or at Because Reading. This year I am cutting back and going for Reading Level 2. That equals two books a month, and it is geared towards clearing my TBR shelf. Books must be listed at the beginning of the challenge. At the end of each month, cross off the book(s) you read. We will have a link-up each quarter (hosted by Michelle in April, Berls in July, Michelle in September, Berls in January 2017) for you to link your progress. Details below, but… The link-up will be open for the first 7 days of the new quarter and we will randomly select a quarterly winner of a $5 gift card to Amazon. Giveaway will be open Internationally. Tweet your progress to #2016HW and keep an eye out for random tweets from the hosts. I have all the books below on my TBR bookshelf and I have set them aside on the bottom shelf so that I can easily pick them out. Second Quarter: A Report Card. Third Quarter. A Report Card. Fourth Quarter A Report Card.